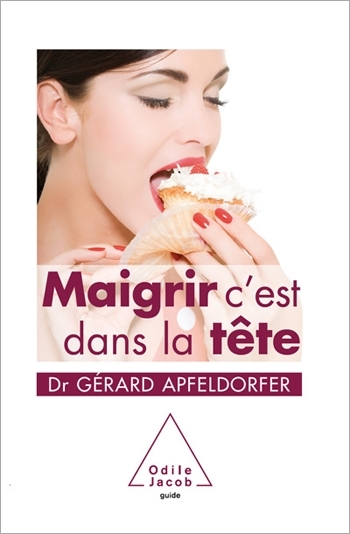 A physician, psychiatrist and psychotherapist, Gérard Apfeldorfer is the president of GROS (Groupe de Réflexion sur l’Obésité et le Surpoids), which specialises in eating disorders. He is the author of, most notably, Maigrir c’est fou! and La Dictature des régimes. Attention! If to stay slim all one had to do was lose weight, then everyone (or nearly everyone) would succeed. Yet many people fail, despite being highly motivated. Dr. Apfeldorfer argues here that to become slim, and especially to stay slim, and to feel good in the process, it is unfortunately not enough to follow even the best of diets — for the simple reason that the battle must be won in the dieter’s mind. This guidebook, filled with practical tips, casts light on the inner world that governs our relations to food. Reading this book is a transformative experience, since by showing us how to master our eating habits it also helps us understand ourselves and lead fuller lives. If you have ever been disappointed in a diet, believe there is no such thing as a miracle diet, and refuse to follow yet another food fad, this classic book is for you. It tells you how to tackle the real problems, teaches you to eat properly and tells you how to achieve inner peace. This is the first complete guidebook to eating disorders and contains detailed solutions to each dieter’s problems.